In this second installment of The Gauntlet Trilogy, Dyson takes our hero on an adventure you won't want to miss! Summary: Brydon's quest for the Gauntlet of Ven-Kerrick continues as the mysterious Dark Master sends him on an unexpected journey that will take him through ruined cities and forgotten castles. On the way, he gathers new friends and new enemies, but will time run out before he can save his former companions? 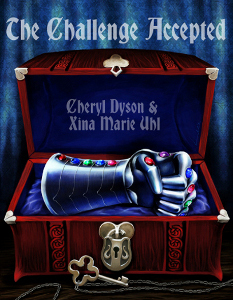 In this second installment of The Gauntlet Trilogy, Dyson takes our hero on an adventure you won't want to miss!